This is a story that shows it sometimes takes a village to save an animal. Phoebe was taken to the Roane shelter with what looked like chemical burns from her head to her toes. Her skin was black and crusted. Roane County Paws pulled her and asked for help from “the village.” Friends of Oak Ridge Animal Shelter heard about Phoebe and reached out to the Special Needs Rescue of East Tennessee who agreed to take her. Phoebe has been diagnosed with a severe bacterial infection. HPAN agreed to pay half her bill, and the rescues will cover the rest. Phoebe will soon be the beautiful girl she is supposed to be. HPAN Sponsors Old Dogs, too! 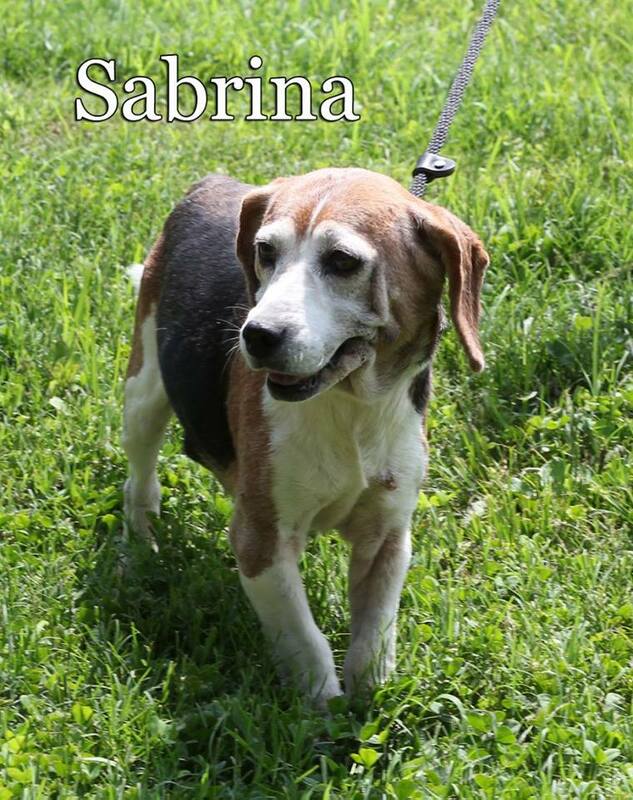 The Oak Ridge Animal Shelter had senior Beagle, Sabrina, who had been neglected and not received the vet care she needed. She came to the shelter with tumors and covered in fleas. The Friends of Oak Ridge Animal Shelter took her to their vet for an evaluation. The estimate to remove the tumors and all associated costs was over $700. HPAN kicked in $300 for the needed services. We are happy to say that Sabrina has been adopted by a family who will care for her the rest of her life. 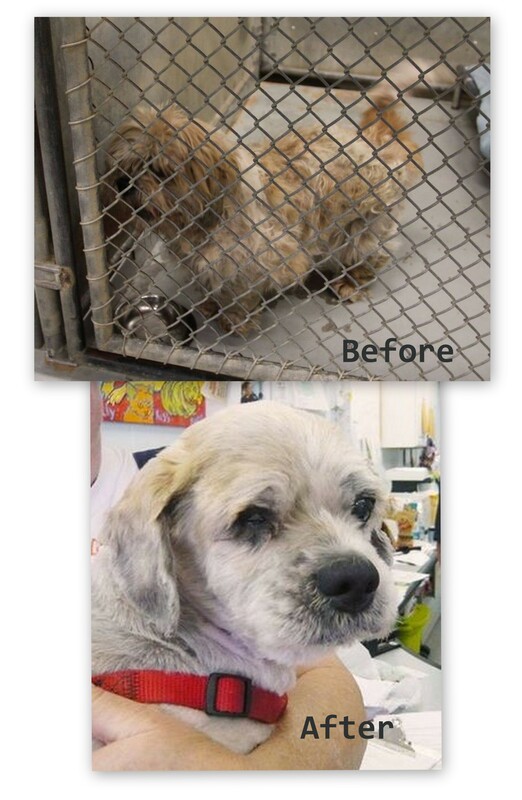 Andrew, a senior dog, was brought to the Oak Ridge Animal Shelter in a terribly neglected condition. His fur was rock hard with mats that even petting him caused pain. The only way to help him was to have him anesthetized and shaved with surgical grade razors. The Friends of Oak Ridge Animal Shelter asked us to sponsor the medical grooming, which cost $200. We were happy to do it! Just look at the difference in him! 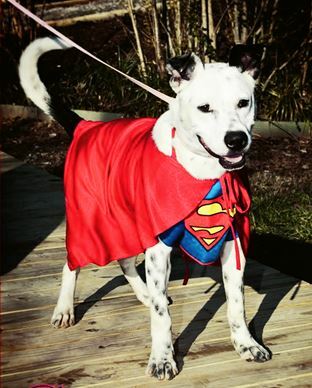 He was adopted two days later. 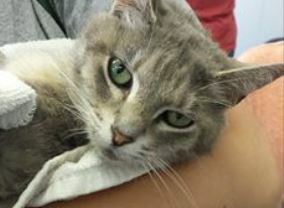 A good Samaritan brought in a very seriously injured cat with deep bite wounds. It was after hours for all but animal ER. All weekend she was carted back and forth to the emergency vet three times a day for special bandage changes, then on the following Monday, a local vet took over. Due to her great care, Georgia is doing better. The Friends of Oak Ridge Animal Shelter put out a plea for help with her expenses, and we were happy to help! The Friends of Oak Ridge Animal Shelter asked if we could help on their outstanding balance for some of their shelter dogs receiving treatment. This wonderful support group had paid so much already. 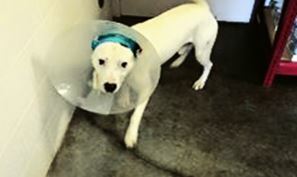 The balance at Oak Ridge Vet Hospital was $433.18 for Brady, who is receiving treatment for heartworms, and Flash, who was attacked by another shelter dog at a recent adoption fair, requiring stitches and a hospital stay. To help this group continue doing what they do best, which is saving shelter animals, we were glad to offer some financial assistance! Brady and Flash are so worth it.